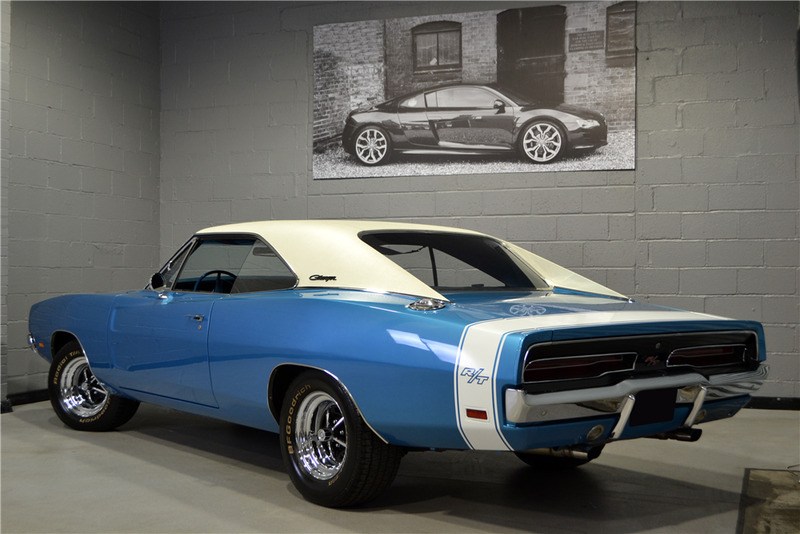 An all-matching-numbers example of the 1969 Dodge Charger R/T that has been painstakingly restored in the U.K. over the course of four years. Originally a Texas car and having rested in a Houston garage for almost a quarter of a century, the Charger was purchased and exported to the U.K. in 2012. It was found to be in good original condition, having never previously been restored. The original handbook, warranty booklet and original keys were all there, alongside registration paperwork pointing to the car only having a total of two U.S. owners. The original Build Sheets, which were found inside, are included. A chassis-off rebuild was not performed, as the car was in good condition, and the only sheet metal that was replaced was the trunk floor. Everything attached was either thoroughly cleaned or rechromed. Very little was replaced with remanufactured parts, apart from all-new rubber weather seals. 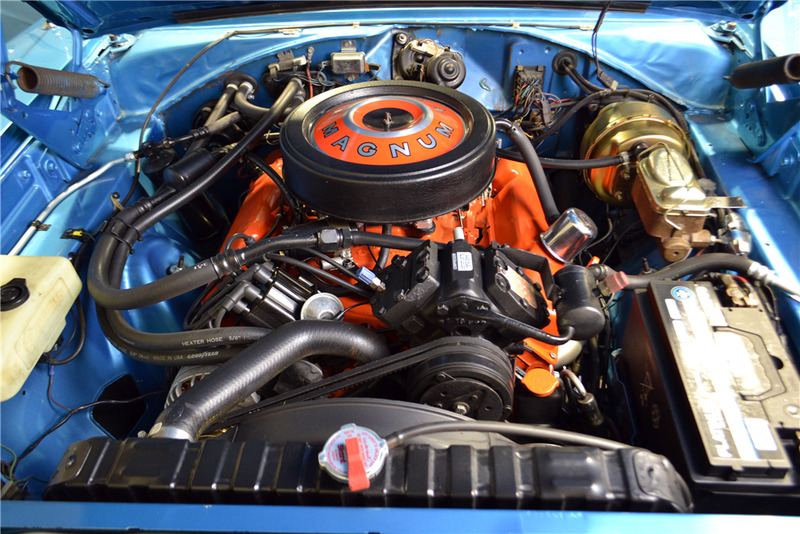 The original 440ci big-block engine was thoroughly gone over and fitted with an electronic distributor, and the original carburetor was replaced but was retained. The interior was removed, allowing for the interior of the shell to be cleaned and repainted. The bucket seats were treated to new covers and the carpet was replaced, along with the top dash pad and front door capping. Everything else is original, including the headliner, which still shows its manufacturer date stamp of 1968. The original air conditioning system is present and correct, outfitted with a new compressor and has been fully serviced. The drivetrain was upgraded; however, all of the original components have been retained. The front subframe was upgraded to a QA1 tubular unit with adjustable shock absorbers and the steering box upgraded to a Borgeson unit. The TorqueFlite automatic transmission and final drive were fully overhauled, the original manifolds replaced with ceramic-coated headers, and a custom aircraft-grade stainless-steel exhaust was fitted with MagnaFlow mufflers and recreated stainless-steel rectangular tips. Other upgrades include a RetroSound replica radio (original retained) with modern functionality, including Bluetooth and media connectivity, along with upgraded discreet speakers and subwoofer, Thatcham cat 2 Scorpion immobilizer and Vodafone Cobratrak vehicle tracker. 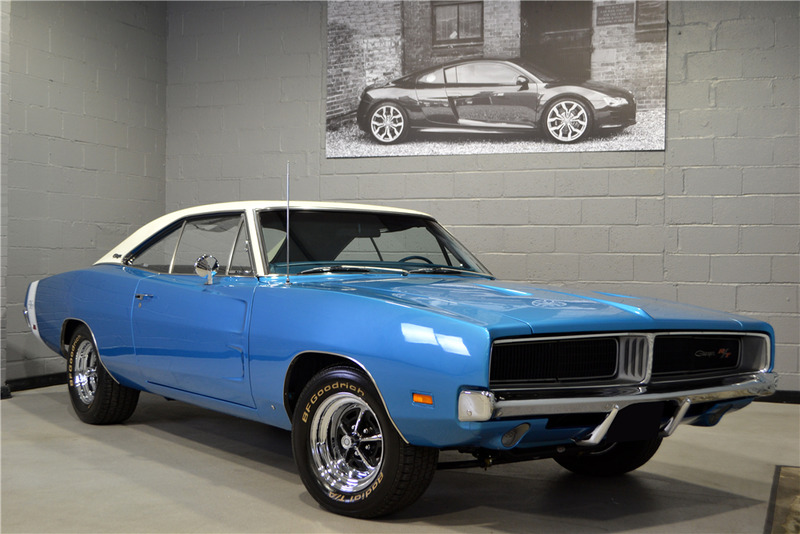 This Charger was finished in B5 Blue with a white top and rear stripes, and features power steering and a center console.